Through the establishment of WiseTech, Inc. in 2006 Tokyo, Japan. We have launched a new brand termed Nobunaga Labs in 2014. Nobunaga Labs heavily values the quality of its manufactured wires. The main priority of the production process is to execute various examinations of the wires in order to procure the flawless performance and sound. We are committed to offer the cables assembled by these diligently processed wires exclusively. We stand by the quality of our work. High quality products and customer service are guaranteed at an affordable price. Nobunaga Labs is ultimately formed by the boundless passions for music as it continues to challenge itself to discover the superior sound through development and research. NOBUNAGA Labs is 100% designed in Japan. 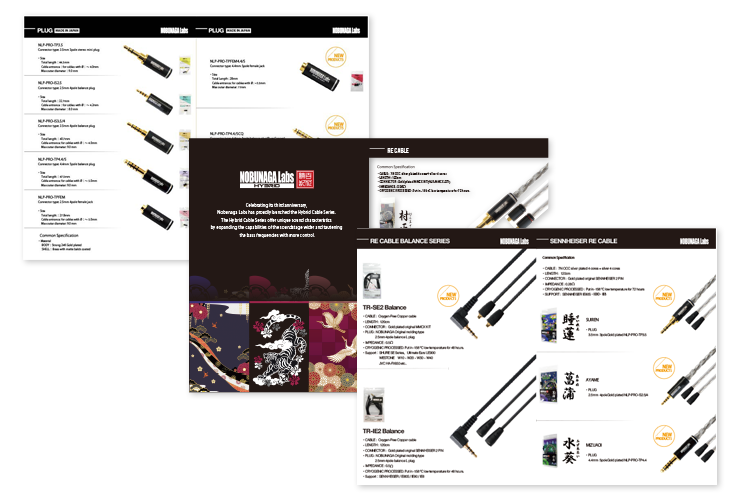 NOBUNAGA Labs begins with NEEDS for unlimited passion for music sound. NOBUNAGA Labs has things all generations can enjoy. Now It`s your turn to enjoy NOBUNAGA Labs.